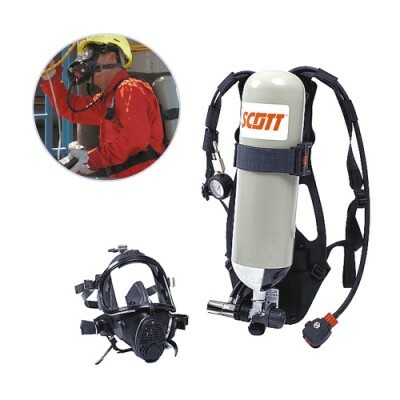 Find here the essential information on carbon dioxide – or carbonic gas – (CO2): characteristics, effects on health, detection devices & systems – CO2 detector – and proper respiratory protective equipment (self-contained breathing apparatus or air supplying respirator). Carbon dioxide (CO2) – also called carbonic gas – is naturally present in the atmosphere at low concentrations (400 ppm). Essential for photosynthesis, it can be found in greenhouses to enhance plant growth. CO2 is widely used under its different states: as a cooling block when solid, in brewery and wine growing industries when gaseous and for firefighting under its liquid state. Carbon dioxide (CO2) is odorless and colorless. It is involved in the greenhouse effect phenomenon as is absorbs infrared spectrum. This gas is neither toxic, nor explosive and its major hazard remains its asphyxiating properties. 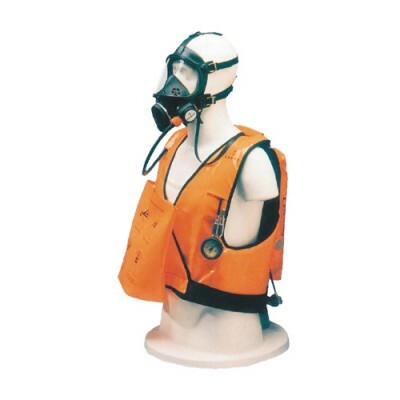 Heavier than air, it replaces oxygen in confined spaces or poorly ventilated areas (tanks, sewers, manholes…). Moreover, as it is not detectable without proper equipment, this gas is highly dangerous for health. As carbon dioxide is colorless and odorless, only a CO2 detector can accurately measure concentrations of this asphyxiating gas. It is recommended to use portable or fixed carbon dioxide detection equipment in volume percentage (of ambient air). The Gasman CO2 is a personal gas monitor, and very important PEE (personal protective equipment), designed to detect carbon dioxide (CO2) in the harshest conditions. The Gasman CO2 portable gas detector is a compact single gas personal monitor designed for use in the toughest environments. Its stunningly compact and lightweight design makes it ideal for use in industries such as oil and gas, chemical plants (with exotic gases), steel works, hospitality and waste and water works. 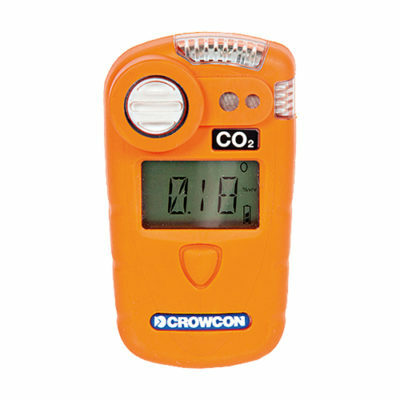 Its tough high-visibility orange housing made of polycarbonate with full overmoulding, this CO2 gas detector protects users in harshest environments. With rugged impact resistant construction and compliance to IP65, Gasman CO2 offers an accurate carbon dioxide monitoring with a measuring range between 0 and 5% volume. Small and lightweight (approximatively 100g), it is extremely durable, with high impact resistance and ingress protection against dust and water. Its combination of powerful loud 95 dB alarm, red and blue visual alert signal and vibrating alarm alerts users in case of hazardous carbon dioxide concentrations. Multiple alarm options are available to select distinctive tones for different alarm levels. Data and event logging are available as standard, and there is a built-in 30 day advance warning when calibration is due. The data logger can store up to 900 hours storage at 1 min. interval (54,000 logs), more than 4800 events. Thanks to its powerful rechargeable lithium-ion battery, the Gasman CO2 can operate continuously during 12 hours minimum when fully charged. The detectors comes with an integral crocodile clip in order to be worn close to the breathing tracts. This way, gas concentrations readings are as close as possible from concentrations inhaled by the user. Especially designed for the detection of oxygen, combustible and toxic gases, the OLCT10N digital fixed gas detector ensures reliable and fast concentration levels monitoring. Every information is sent to the gas detection controller in less than a second. Detection of CH4, O2, CO, H2S, NO, NO2, NH3. Power supply 12-30 V DC. Immune to dust and water. 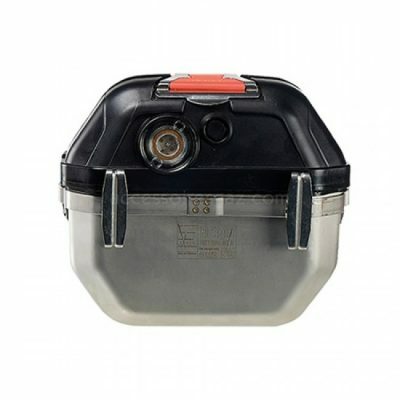 ATEX 3 GD, ATEX 2 and 22 approved. Especially engineered for the monitoring and the detection of the most commonly used gases in the light industry and the tertiary sector (laboratory, hospital, wastewater treatment, refrigerated rooms, boiler rooms…), the OLCT 10N fixed gas detector has been designed to be digitally linked to the MX 43 gas detection controller only. Reliable and featuring a fast response time, the OLCT 10N fixed gas detector can be linked up to 32 detectors on the same digital line, which reduces wiring costs. 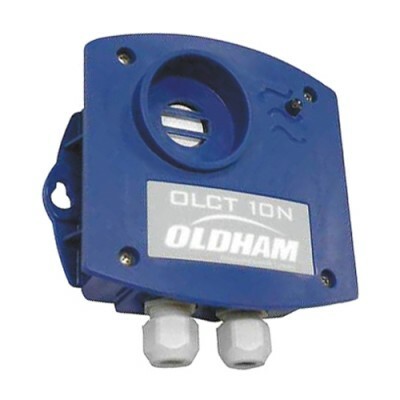 The OLCT 10N is a reliable digital detector transmitter with fast response time designed to detect oxygen (O2) and toxic gases (CO2, H2S, NH3, NO, NO2) as well as combustible gases such as methane, propane, butane and hydrogen. This detectors uses electrochemical, catalytic or infrared sensors depending on the target gases and the applications. Made of ABS (Acrylonitrile butadiene styrene) material schock and UV resistant and ATEX 3 GD approved, this detector can be used for applications in ATEX zones 2 and 22 and is waterproof and immune to dust (IP65). The OLCT 10N is also compliant with electromagnetic compatibility according to EN50270 standard. 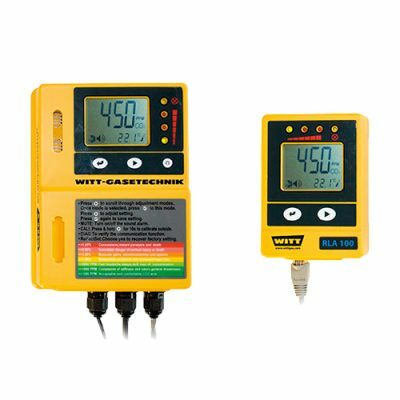 The OLCT 10N is a digital fixed gas detector without display with automatic non-intrusive calibration which does not require the housing opening. Manual calibration is possible by opening the OLCT 10N. After a sensor replacement, both manual and automatic calibrations have yet to be conducted. It features two M16 cable gland inputs and a digital signal output RS485 Modbus proprietary. Depending on the density of the target gas or the application, the detector shall be mounted at the ground level, or on the ceiling at the same height as the airflow, or near to the air extraction ducts. 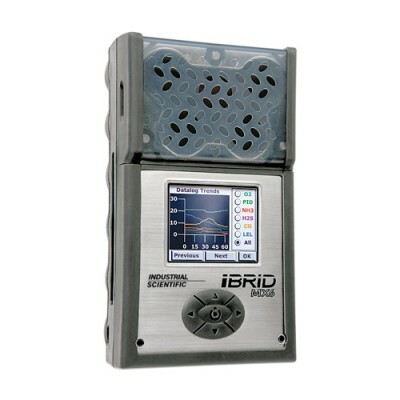 In option, this digital detector transmitter can be provided with shock guard protector and/or a calibration tool kit. 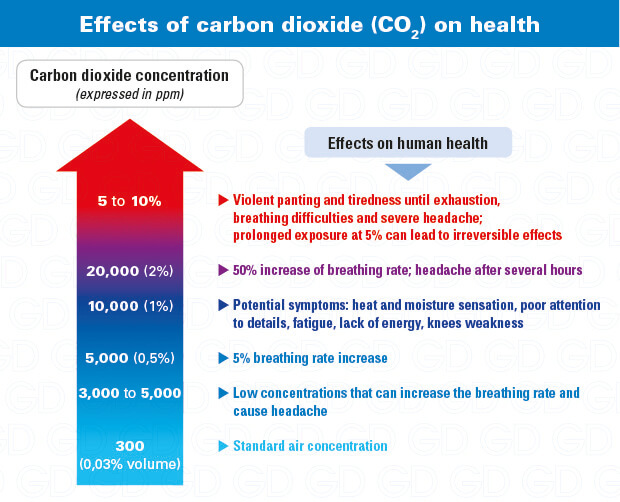 Carbon dioxide is an asphyxiating gas implying severe risks of suffocation. 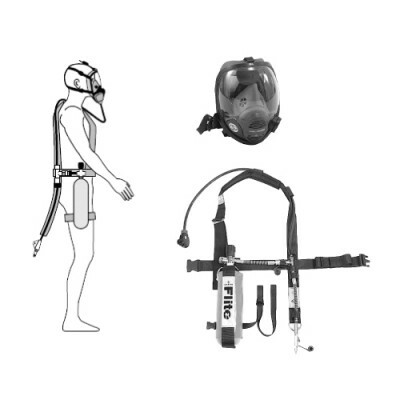 It is then recommended to wear a carbon dioxide mask (CO2 gas mask), an opened-circuit self- contained breathing apparatus (SCBA) or an air supplying respirator for long-term interventions.